November 26, 2011 – At 18:24 the Schuylkill Haven Fire Department was dispatched along with Fire District 41 (Cressona) to the area of Front and Railroad Streets for a commercial structure fire. As units began to respond SCCC advised of a working fire with flames through the roof of the Cressona Textile building. Crews arrived on scene and immediately setup a defensive attack as the structure was fully involved with fire. E-732 hit a hydrant at Railroad Street and established a supply line to multiple master streams including Ladder 51 (Pottsville) and Ladder 519 (Minersville). E-737 was then supplied on side C of the structure via 3inch from Ladder 519. Chief 730 (Reed) also requested a tanker task force which brought tankers from surrounding areas including Landingville, Mount Carbon, Deer Lake, Summit Station, and Freidensburg. All units remained on scene for approximately 10 hours. Chief 730 (Reed) had command. November 22, 2011 – At 19:50 Stations 1 & 2 were dispatched to the area of 1426 Route 61 South for vehicle accident with injuries. Chief 730 arrived on scene and advised SCCC that the accident was actually located in the city’s coverage area. SCCC then dispatched Stations 10 and 70 from the city to assist. Just as units from Pottsville arrived on-scene the SHFD RIT Team was dispatched to Berks County for a working structure fire. November 22, 2011 – At 11:19 the SHFD was dispatched to 359 Centre Avenue for a vehicle accident with possible injuries. Chief 731 (Zulick) was in the area of the accident and advised SCCC that no fire personnel was needed on scene. All units were then placed available. 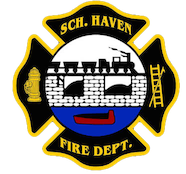 November 21, 2011 -At 12:04 the SHFD was dispatched to 16 Tumbling Run Road, North Manheim Township for an automatic fire alarm. As all units became en-route SCCC advised that burnt toast activated the alarm and placed all Haven units available. November 19, 2011 – At 14:18 the SHFD was dispatched to 255 Parkway Avenue (the Schuylkill Haven High Rise building) for a possible electrical fire. Crews arrived on scene and searched the structure using TICs for a source to the odor of burning wires. It was then determined that the odor was coming from the HVAC system of the building. All Fire Personnel did another thorough check of the structure and remained on-scene until maintenance arrived. Chief 730 was in command and all units were on-scene for approximately 1 hour. November 18, 2011 – At 17:44 the SHFD was dispatched to the area of 1614 Route 61 South for a vehicle accident with unknown injuries. Chief 730 arrived on scene and found 2 vehicles in the parking lot of the Manheim Diner with no injuries and a small amount of fluids down. Chief 730 held the call to Stations 1 & 2. All units remained on scene for approximately 15 minutes. November 18, 2011 – At 10:13 the SHFD was dispatched to 12 News Street, in the borough for a CO investigation. Crews arrived on scene and found an issue with the batteries in a CO detector located in the basement. All units were then placed available. November 14, 2011 – At 02:11 Station 2 was dispatched to Pine Grove HH&L’s Station, Orchard Street, Pine Grove, for a move-up assignment, as Pine Grove was out on a possible house fire. E-732 stood-by for approximately 40 minutes until being released.